Thanks for being part of our history! On behalf of the entire family of SCUBA CANCUN, we extend a huge thank you for giving us the opportunity to offer the best diving, snorkeling and deepsea fishing experiences for 38 years. 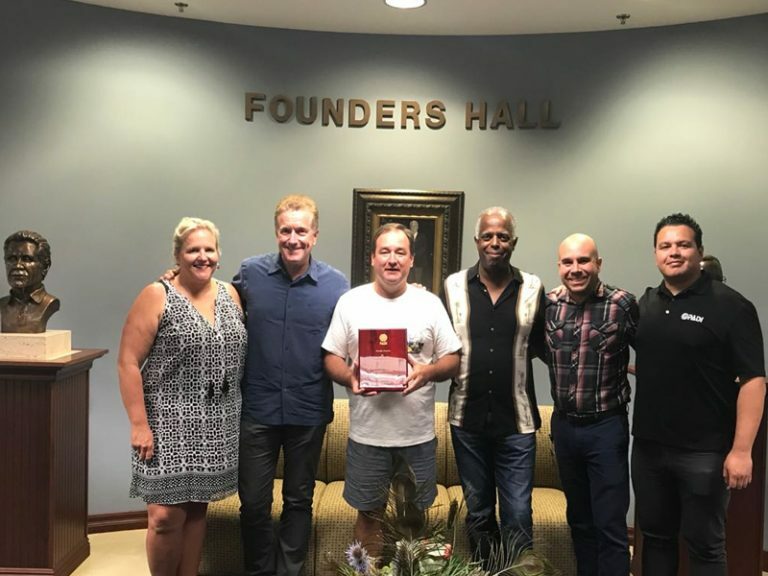 Also was honored our founder Captain Luis Hurtado Matute for 65 years of diving experience in different facets such as military diving, industrial diving, commercial diving and sports / recreational. PADI (Professional Association of Diving Instructors) is the largest diving association in the world with more than 40 million members and daily adding between 4,500 and 6,000 new divers. We are pioneers in diving here in Cancun, and we will continue with the commitment of being at the forefront to offer our clients the best underwater experiences in Cancun, Riviera Maya and Cozumel. 2015 Scuba Cancun ®. All rights reserved. Design by Ikos.